Is being a student good for your mental health? When I first started researching student mental health issues eighteen years ago I was surprised to encounter a number of studies indicating that university students had higher levels of anxiety and depression when compared with young people who were not at university. Since then there have been many other studies that have confirmed that we should be concerned about the mental wellbeing of our student populations. Indeed in September 2018 Sam Gyimah, the Government’s Minister for Universities, took the unprecedented step of writing to all University Vice-Chancellors in the UK telling them that he expected them to make students’ mental health a key priority. 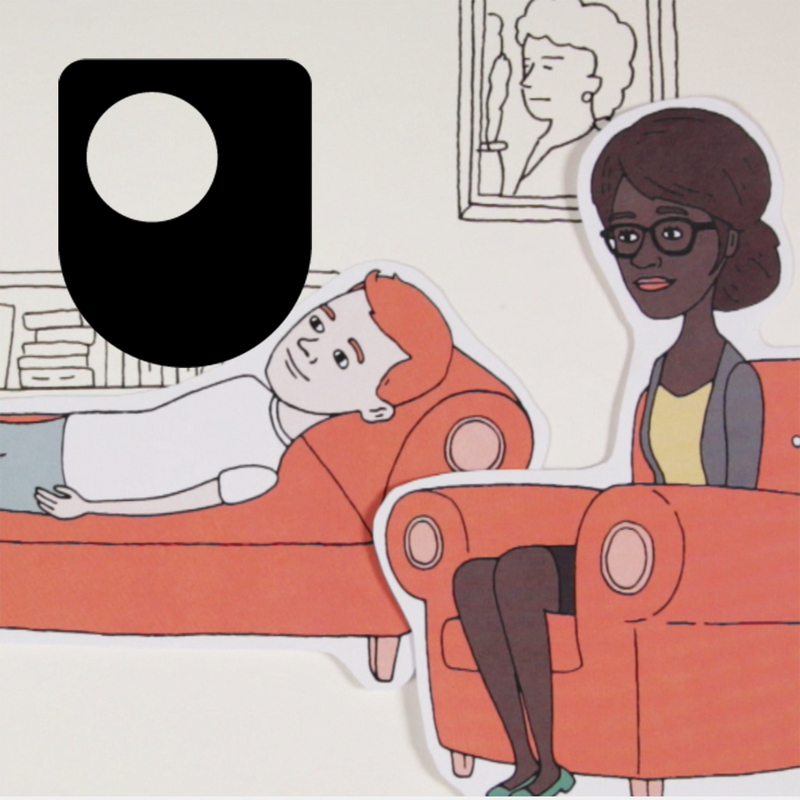 So why should students be particularly vulnerable to mental health problems? Seemingly students should be able to feel good about themselves as they have achieved a place at university and have access to all the social and educational benefits that go with it. This vulnerability does not seem to be linked to the type of person who chooses to go to university as, in general, graduates enjoy better mental health than non-graduates (HEFCE, 2017). So it seems likely that there is something about the student experience that is destabilising for a significant number of individuals. Two recent research articles (McIntyre et al., 2018; Richardson et al., 2017) both point to loneliness as a key factor in predicting anxiety, depression, stress and other mental health problems in student populations. It is important to point out that feelings of loneliness can occur even though the person does not appear to be isolated. Loneliness derives from a lack of meaningful and nurturing relationships; it is quite possible to feel lonely in a crowd. Students who have a good network of social support around them are much less likely to experience mental health problems than those who don’t. Loneliness, often as a result of finding it difficult to make new friends after moving away from home. Academic stressors such as having pass assessments and keep up a high level of performance. Financial worries which are associated with being in debt, not being able to afford things and having to take on jobs alongside studying to make ends meet. Previous traumatic experiences that are unresolved and continue to affect the person concerned. The lack of social support (Leach, 2015) that many students experience reduces their ability to deal with the other stressors such as academic pressures and lack of money. Furthermore, being part of a supportive social network increases the likelihood of students seeking help from counsellors, general practitioners and other professional sources when their problems start to feel too much for them (Kenny et al., 2016). So one thing that universities and colleges can do to enhance the mental health of their students is to find as many ways as possible of enabling social interactions between students throughout their time of studying. Peer support schemes (Byrom, 2018) are another way in which distressed students can be helped back into a more mentally healthy state. Students themselves can be more aware of the importance of balancing their study time with social activities that enable them to connect with others. The Student Minds website is a good source of ideas and resources for student wellbeing and most universities now have their own websites containing advice and information on student mental health. OU student? Find out more about our Mental Health Support Service. HEFCE (2017) The wellbeing of graduates: Assessing the contribution of higher education to graduates’ wellbeing in the UK. London, HEFCE. Kenny, R., Dooley, B. and Fitzgerald, A., (2016) ‘How psychological resources mediate and perceived social support moderates the relationship between depressive symptoms and help-seeking intentions in college students’. British Journal of Guidance & Counselling, 44(4), pp.402-413. Leach, J. (2014) Improving mental health through social support: building positive and empowering relationships. London: Jessica Kingsley Publishers. McIntyre, J.C., Worsley, J., Corcoran, R., Harrison Woods, P. and Bentall, R.P., (2018). ‘Academic and non-academic predictors of student psychological distress: the role of social identity and loneliness’. Journal of Mental Health, 27:3, 230-239. Richardson, T., Elliott, P. and Roberts, R., (2017) ‘Relationship between loneliness and mental health in students’. Journal of Public Mental Health, 16(2), pp.48-54. What can I do about my mental health when I don’t have the support I need? What can you do if you're not comfortable talking about mental health issues with your peers? Dr Jonathan Leach and Dr Mathijs Lucassen set out six ways of getting the support you need. Read now ❯What can I do about my mental health when I don’t have the support I need? Do I have mental health problems and should I get some help? Read now ❯Do I have mental health problems and should I get some help? Mindfulness is about focusing on the present moment, whilst at the same time accepting your feelings, thoughts, and body’s sensations. But why does mindfulness matter? Each year thousands of pounds are spent on medications to treat conditions such as anxiety and depression. These medications often have negative side effects. Exercise is an alternative treatment that is low cost and has few side effects. In this free course, Exercise and mental health, we will look at the links between exercise and improved mental health and psychological well-being. This will include consideration of the role of exercise in combating stress, anxiety and depression, and in enhancing mood. Take a new and different look at mental health. This free course, Challenging ideas in mental health, invites you to think differently about life's dilemmas by taking account of the views of all concerned, especially people experiencing mental distress. It explores ideas and practice in mental health, and will appeal to a wide range of people.